Just to let you know Costa Rica was fantastic and everything went off very well! All the tours were done exceptionally well! The best activities by far were the Monte Verde Zip Line and the Arenal Waterfall rappelling! These had the greatest adrenaline and the best pictures. The scenery was priceless. I’m the only one of my friends that can say they repelled down several waterfalls. I was very impressed by everything I saw in the various places of jungle that I went to, all the plants, animals, flora and fauna. The Monkeys that run around the tourists were the best surprise. I was not expecting them to be there and that friendly with people but they were impressive. I saw pretty much a specimen of everything: frogs, snakes, birds, bats, etc, everything I wanted to see on this trip. The trip was really great and I want to thank everyone in your office for a very well thought out itinerary. 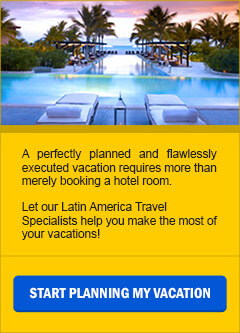 I have recommended to you to other people I know interested in South/Central American nature vacations.